I received an email last week accepting an invitation I had sent to a teacher (for the sake of this blog let’s call him Mr Micawber) asking him to talk at a conference on the liberal arts (October 14th put it in your diary, details to be released soon…) Anyhow, what was interesting about the email was the permission that had been granted by his Head Teacher was reported in the following way: “he said he encourages staff to engage in activities to promote eudaimonia!” Note the exclamation mark. This was followed by the observation that it was not a word that Mr Micawber had heard come from a Head Teacher’s lips before. I wonder why? Eudaimonia is often explained as Happiness, but this is not a great translation. 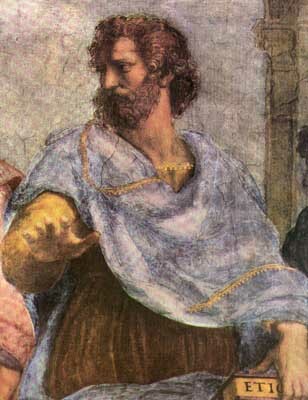 In more modern parlance it has been associated with the phrase ‘well-being.’ Aristotle understood it to be ‘flourishing’ which comes from the pursuit of things worthwhile and virtuous: doing something worthwhile and doing it well, something that requires thought and contemplation as well as courage, reason and freedom. There are various ‘happiness’ gurus around nowadays who might agree with this hypothesis: in order to flourish as human beings we need to be pursuing worthwhile ventures and in those pursuits we need to be able to bring all our potential to bear, to improve, to grow, to have control over our lives and to realise ourselves through the pursuit more than in the achievement of the ‘goal’. Outstanding has become fraught because of the need to define it so that inspectors and managers can recognise it: here is an outstanding lesson, taught by an outstanding teacher, in an outstanding school. This becomes the holy grail, the ultimate ‘goal’. Once you’ve attained the holy grail the temptation is to think now all you need to do is carry on doing what you’ve done and all will be well. The goal, once reached deadens growth, breeds arrogance, sacrifices both individual growth and the growth of the institution. It spreads the idea that: ‘the ends justify the means’. Staff ‘well being’ can be surrendered for the ultimate goal. There are occasions when teachers have reported having to sacrifice what they consider ‘virtuous’ in order to obtain ‘outstanding’. When staff are asked to ignore their own wisdom and virtue in the belief that outstanding will be achieved by one more push, something is lost. When teachers are told that they must ‘just obey orders and the plaudits will be theirs’ as they sacrifice themselves to the cause, they know, deep down that the Nuremburg defence will not excuse them. “Result misery,” as Micawber would have it. If an institution demands sacrifices of its staff to indulge multitudinously in the mundane and the mind numbing, based on dubious propaganda and hearsay, where every bit of data is sacred and every lesson plan is written in blood and copied to all and sundry, the call of the ‘worthwhile’ and the ‘excellent’ will whither away. This model is not sustainable, nor is it educative. Education as a never ending pursuit of wisdom should ask for all to be involved in a pursuit where we celebrate the means as being just as or more important than the ends. Deciding what is worthwhile is the job of the professional. Pursuing the worthwhile and wanting to excel in the pursuit lies in the spirit, the life force that the professional brings to their work. Kill the spirit of your staff, then you destroy the means of achieving the best. Fulfilment comes from how the spirit inhabits the every day, where being trusted to do your best, is more important than the idea that you need to be ‘simply the best, better than all the rest’. This X Factor idea results, paradoxically, in the worship of the second rate, perhaps it should be known as ‘False Idol’. No more ‘outstanding!’ Instead let us look for flourishing teachers teaching flourishing students in flourishing schools. Let schools trust in the virtuous pursuit of wisdom in the every day. Descriptors of “outstanding” don’t begin to do this justice; they are describing a well-ploughed field rather than a flourishing meadow. Each of these offers an alternative perspective from which to build educational theory and action but all should be present in any robust conception of liberal education. Implicit in each of them is the aim “to live a flourishing life”. How different would English education be if we put these paradigms ahead of our obsession with measuring and labelling. I’m looking forward to embarking on T21C shortly and being challenged and stimulated! Surely the concept of ‘flourishing’ is exactly what we should be striving for for our students, staff and communities? I work for a Principal whose only goal and motivation is external validation – a product of the high stakes educational culture we have become. It can be soul destroying. Your post has restored my faith that there are plenty of us out there who believe otherwise. Thank you.